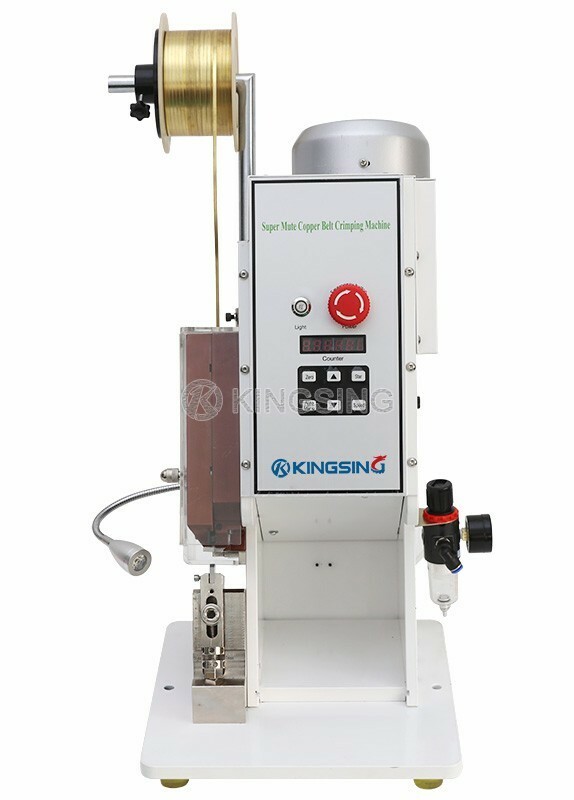 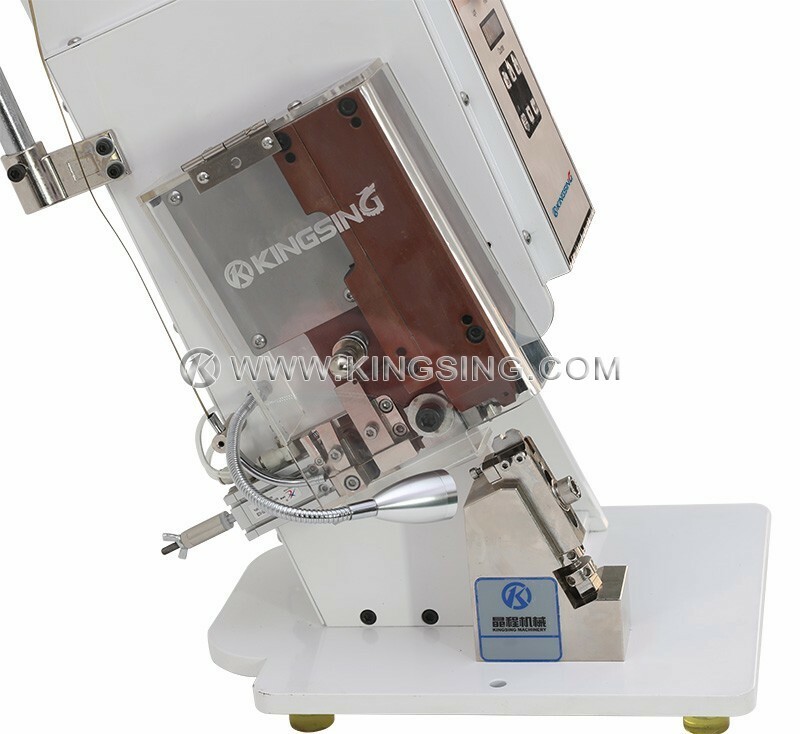 The KS-T922 Pneumatic Copper Tape Splicing Machine adopted frequency conversion control and new type of pneumatic copper tape feeding, it works very accurate and stable, and themachine support inching operation which can help saving adjusting time. 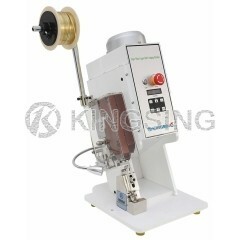 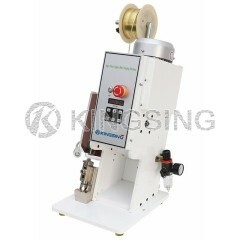 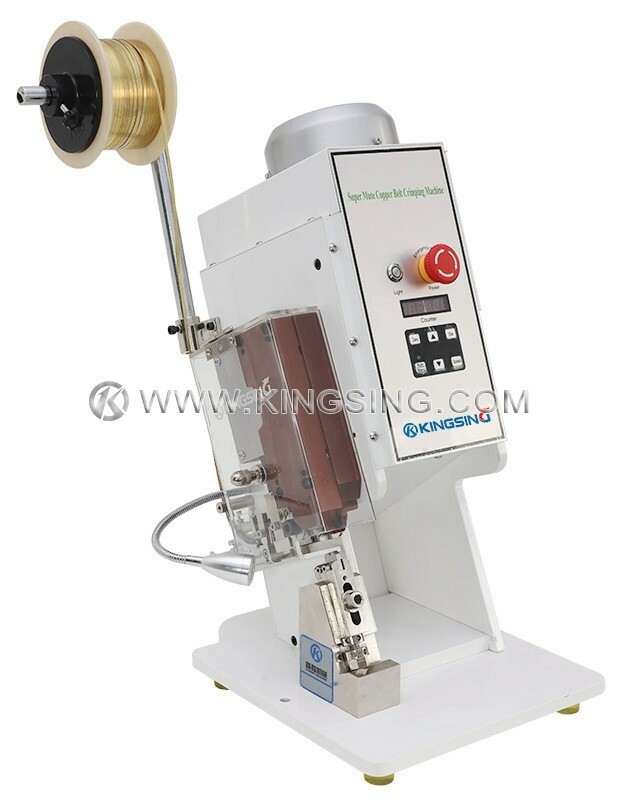 The machine can cut & form & crimp the copper tape in one step, no waste material, cost-saving. 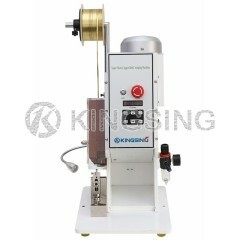 After special grain processing, the copper tape is more durable and can bear larger tension force. 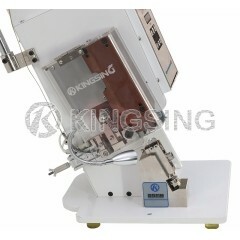 The crimping speed, force and crimping times can be adjusted easily, and there is a counter as well. 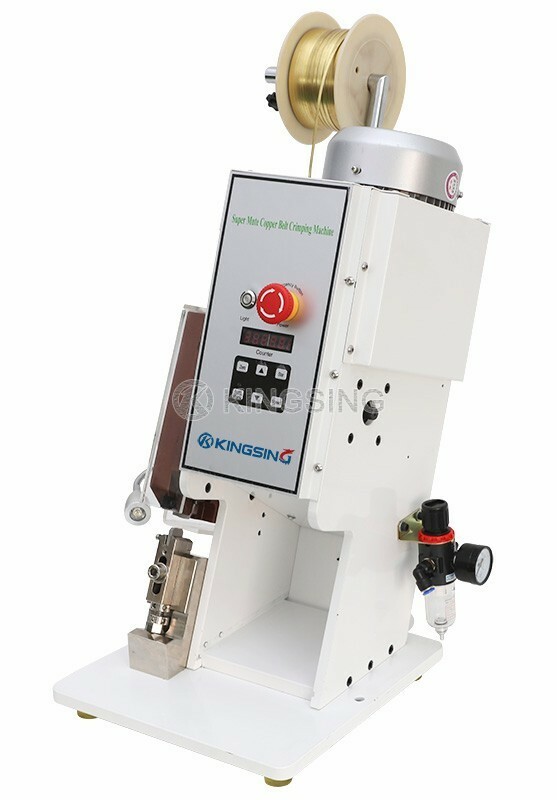 Application: connecting neon and resistor, crimping wire harness, splicing slide switch and wire, crimping high temperature heating material and splicing thermosensitive components.